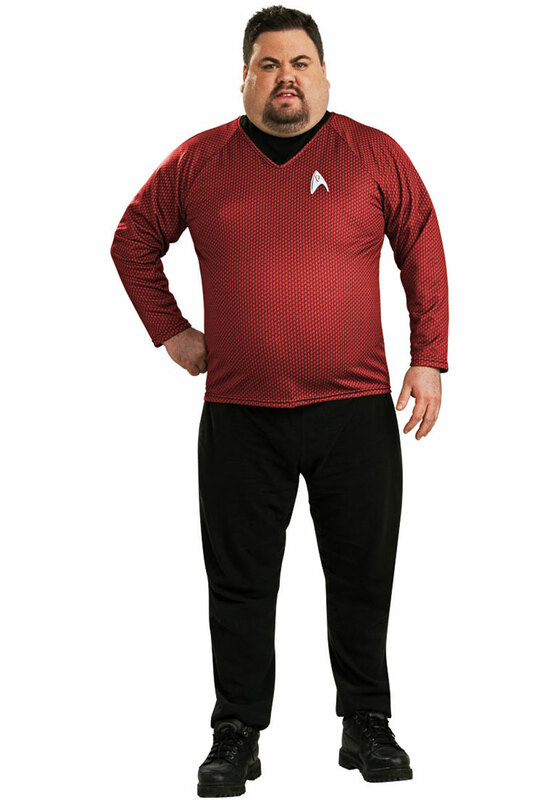 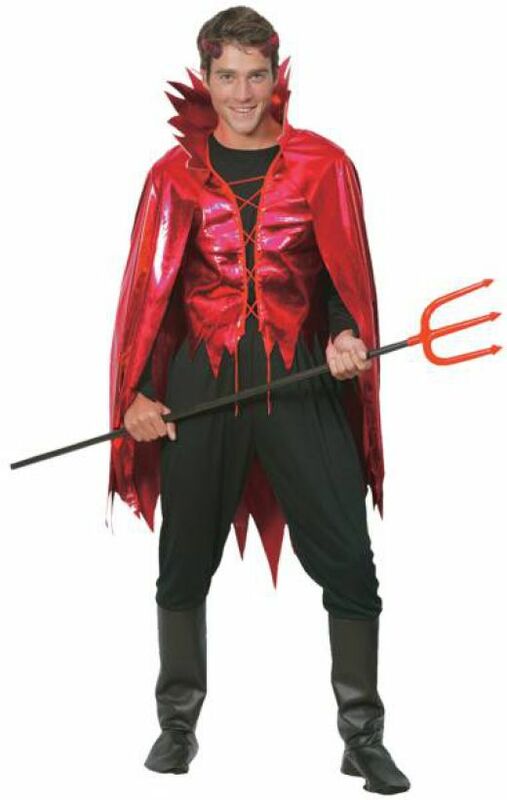 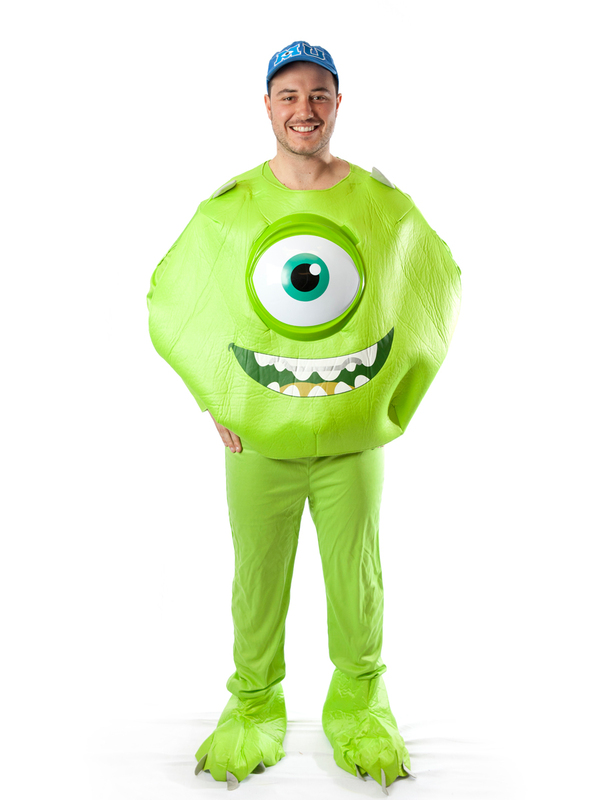 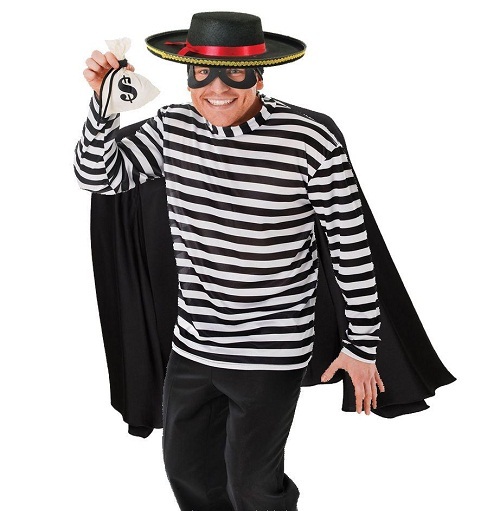 Watch out for the sporty thief as he is ready to barge into the restaurant and devour your favorite burger. 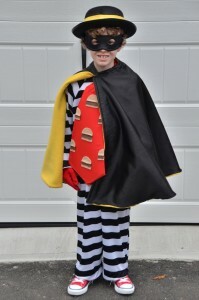 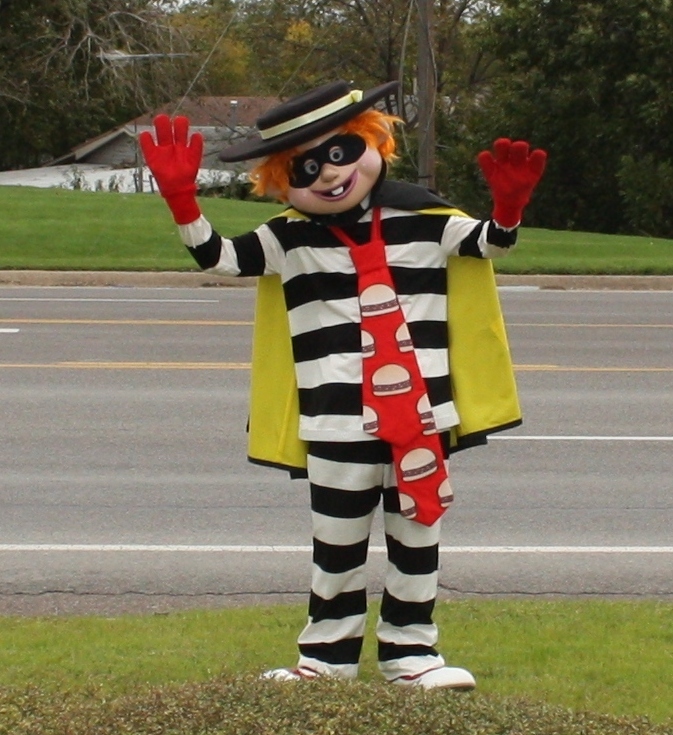 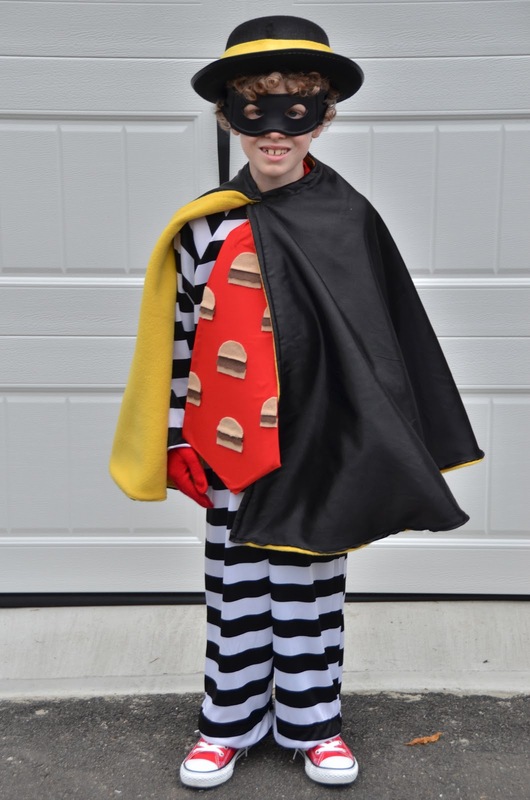 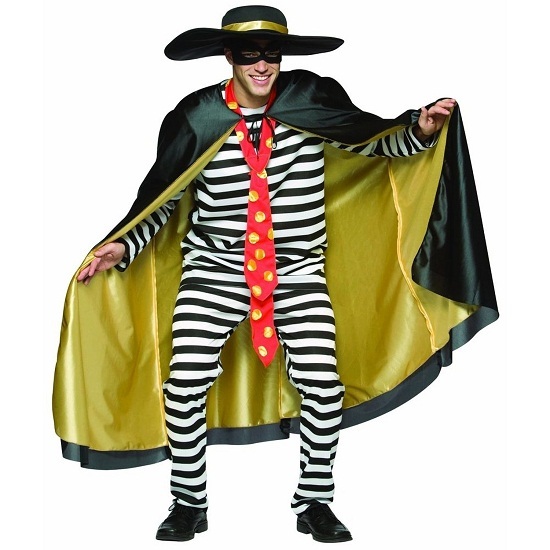 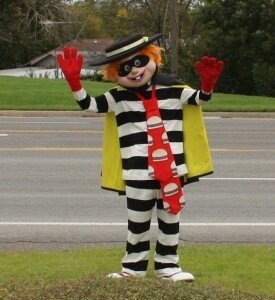 Isn’t Hamburglar wacky and mischievous? 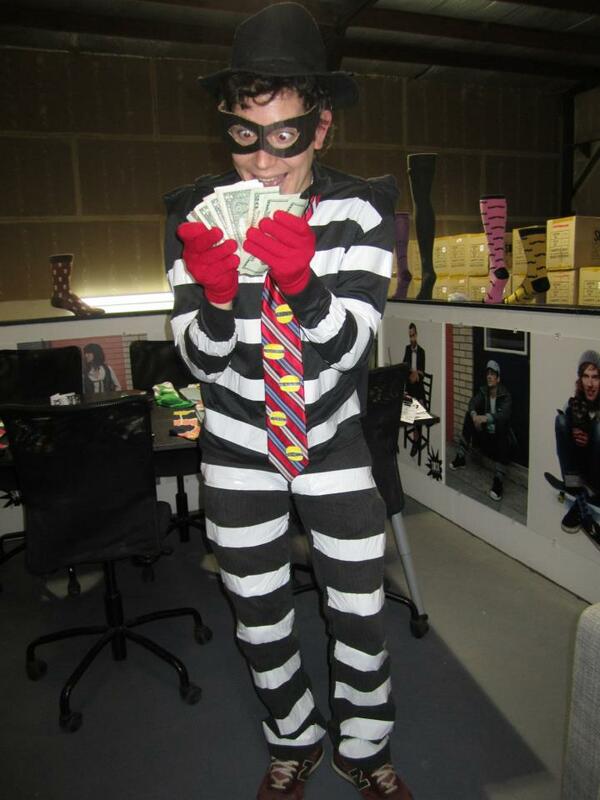 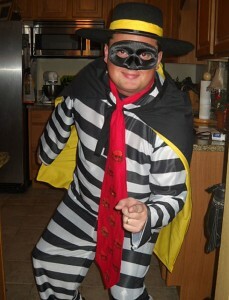 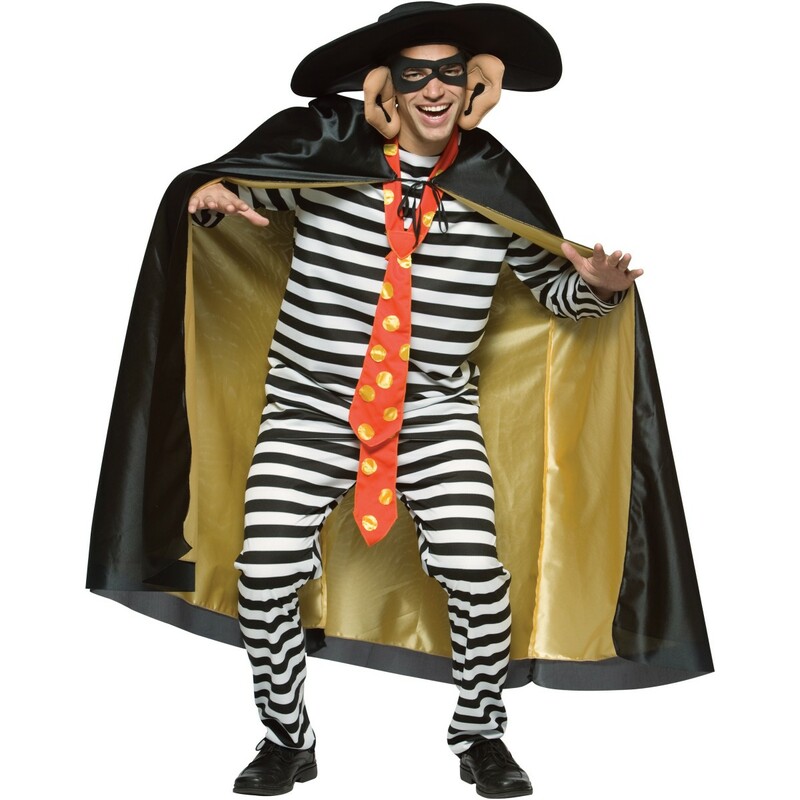 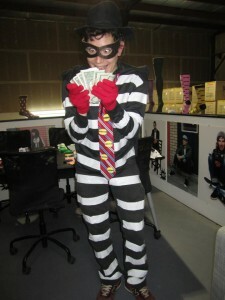 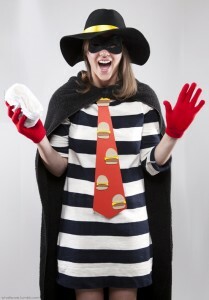 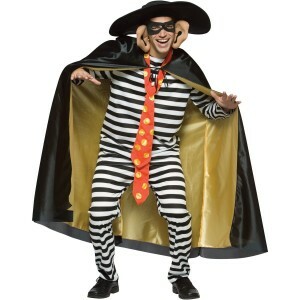 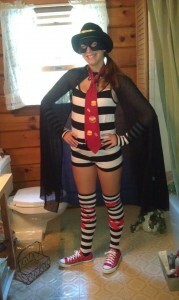 The striped jumpsuit and the black goggles complete the ensemble of the hungry burglar. 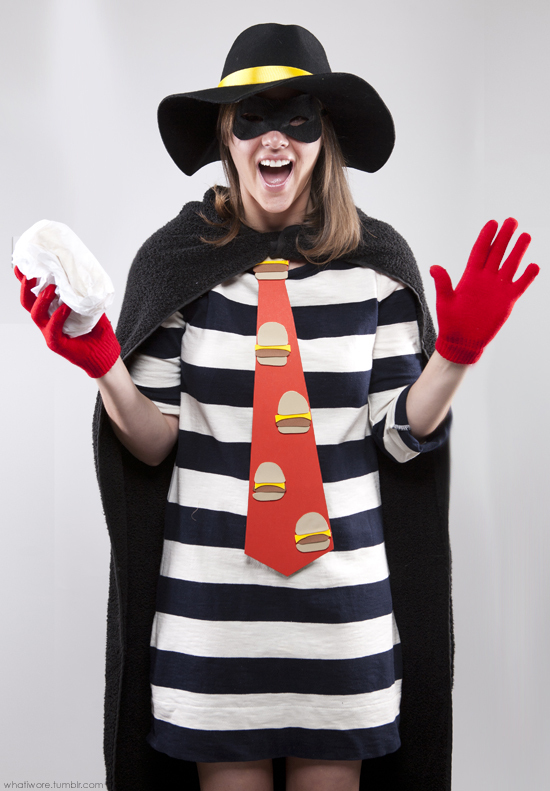 Don’t forget to don the signature hat. 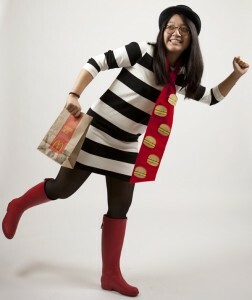 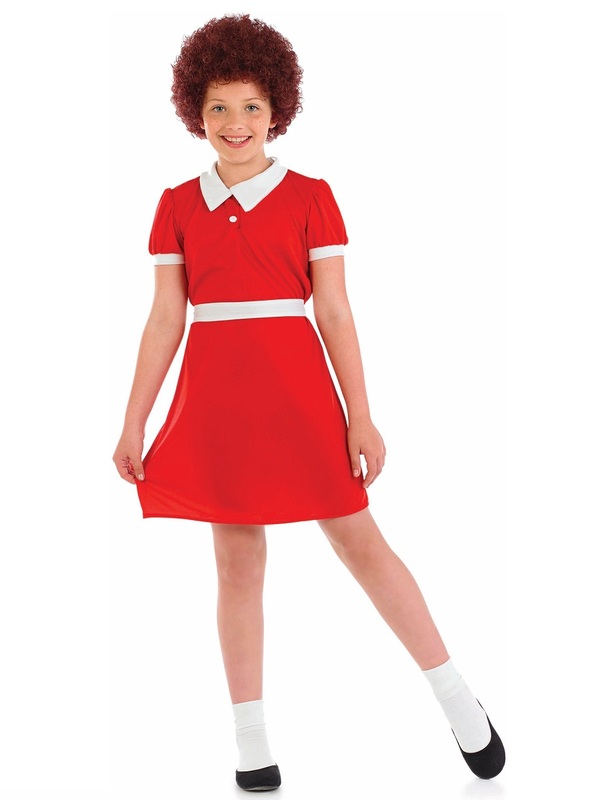 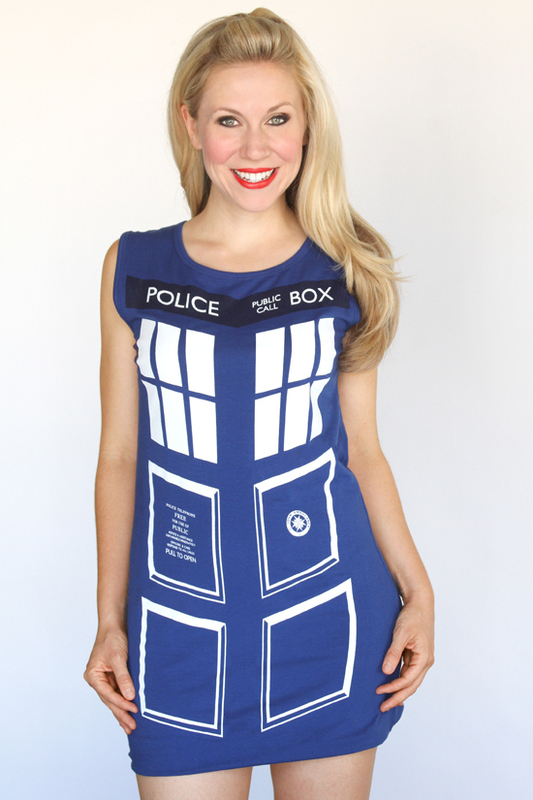 Leave your LBD at home and wear the striped dress along with a red tie to look like a hot and witty food villain. 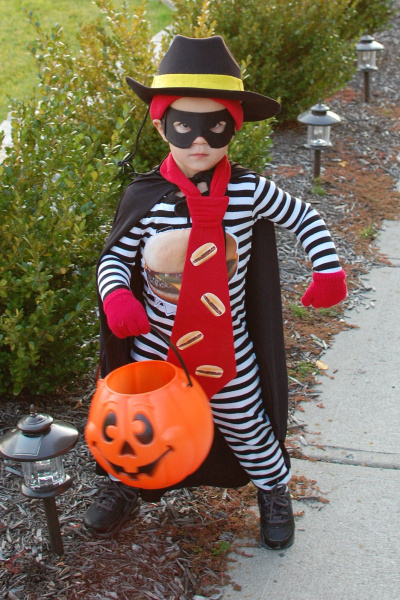 Although the kiddos love visiting their favorite food joint, they need a proper introduction to Hamburglar and alerted beforehand.